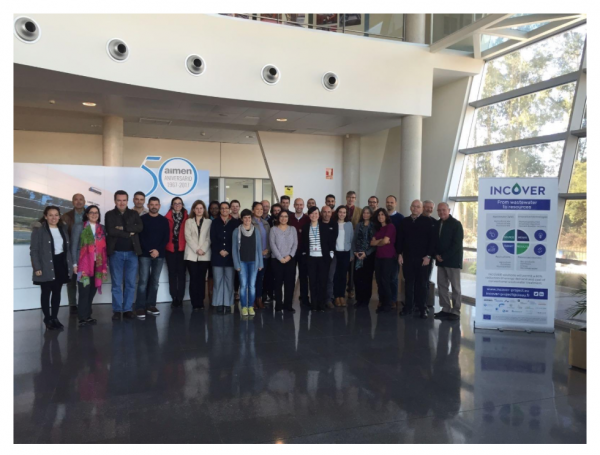 Last week Isle contributed to the INCOVER project “Innovative Eco-Technologies for Resource Recovery from Wastewater” Technical Meeting hosted by AIMEN in Vigo, Spain. The first draft of the Exploitation Plan was presented at the meeting as well as an overview of all innovation activities undertaken so far. To learn more about case studies, INCOVER technologies and INCOVER final bio-products, please visit the INCOVER website: incover-project.eu. For information, please contact Dr Blanca Antizar (blanca.antizar@isleutilities.com), Chair of the Innovation Board. Ms. Babi Uku (babi.uku@isleutilities.com), Member of the Project Steering Group.